Caption slip reads: "Photographer: Glickman. Date: 1953-12-09. Assignment: Eitel and Rolf Lange motorcycle world tour. 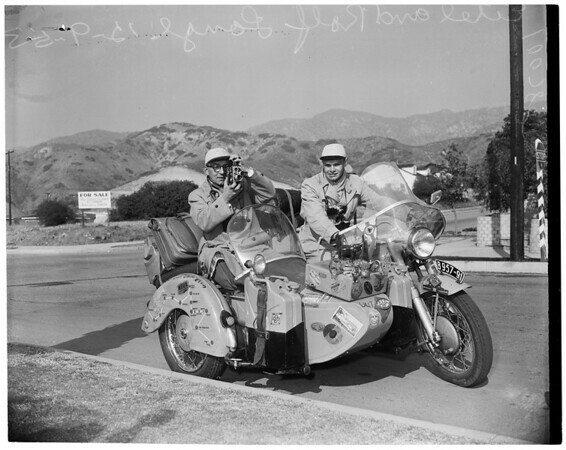 2 shots -- In side car shooting pictures is Eitel Lange as his son Rolf Lange drives."